Recently we (and by “we” I mean Husband) redecorated the living room. It was a desperately overdue job, the most noticeable thing about the walls was the evidence of Boy 2’s artistic toddler phase and spaghetti bolognaise. Part of the redecoration included new sofas (there’s now enough seating for all of us!) and will also include new curtains when I get round to it. 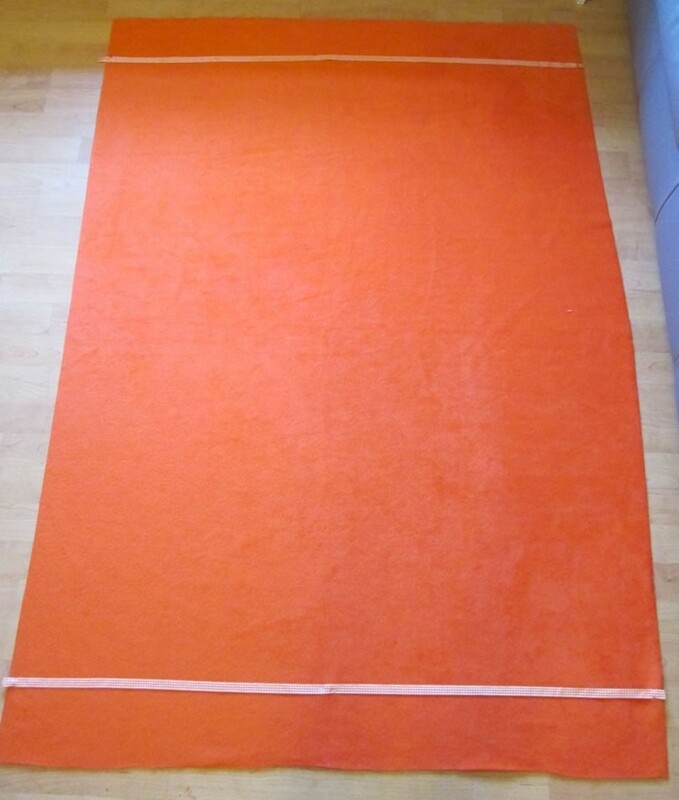 To celebrate, I have made a fleece blanket throw thing for little boys to snuggle under while they are watching tv or negotiating their way around Hogwarts. 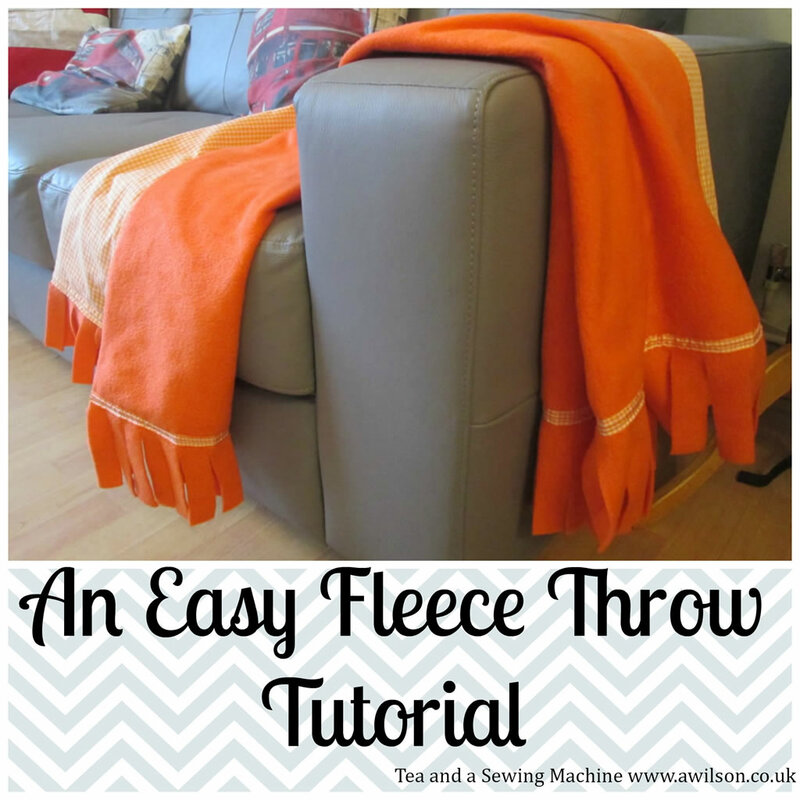 Here is my little easy fleece throw tutorial! 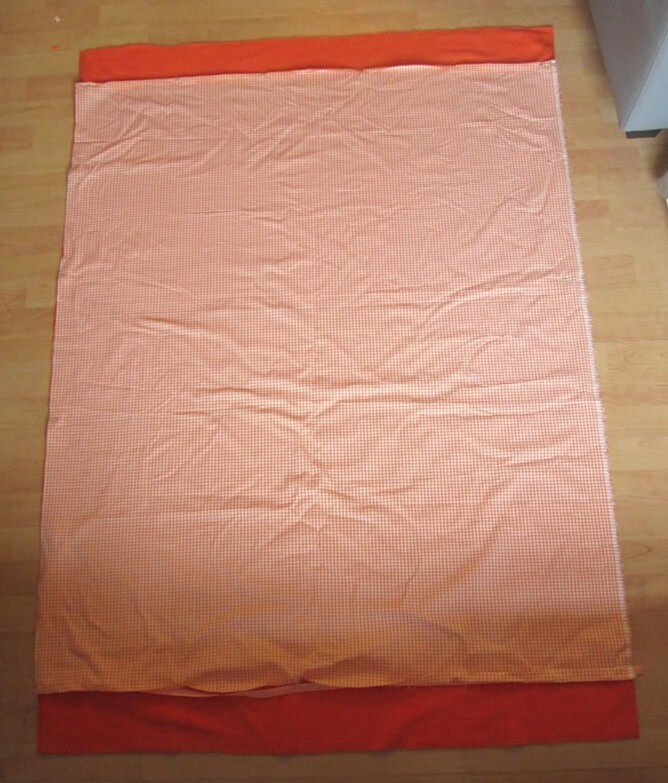 You will need: 1 m of fleece fabric (or more or less depending on your preference. 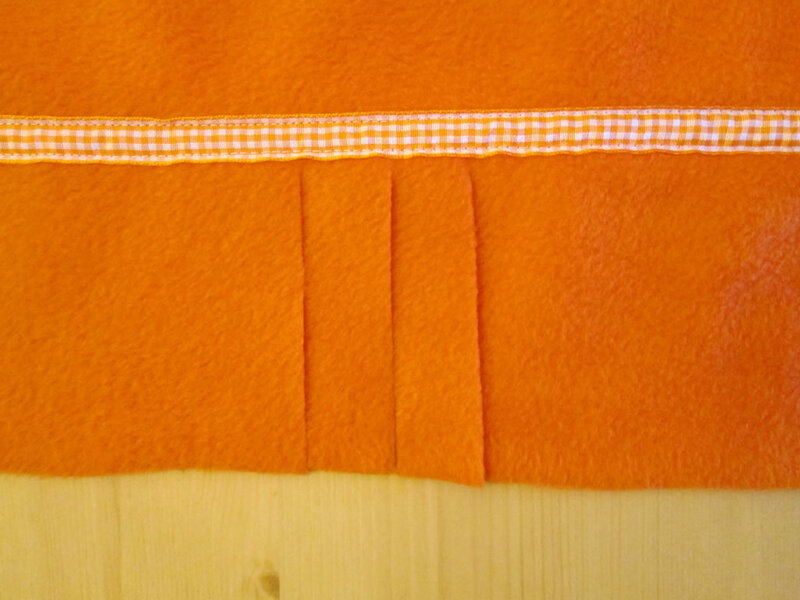 The fleece I used was 160 cm wide, so 1 m was enough), 140 cm x 100 cm of cotton fabric, 2 m of ribbon, sewing machine or needle and thread. 1. Cut the ribbon in half so that you have 2 1 m pieces. 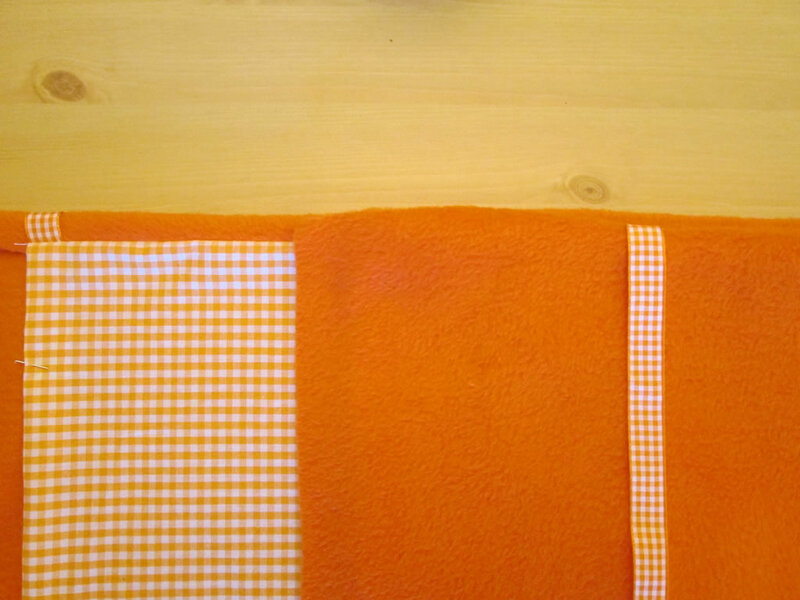 Lay out your fleece fabric. 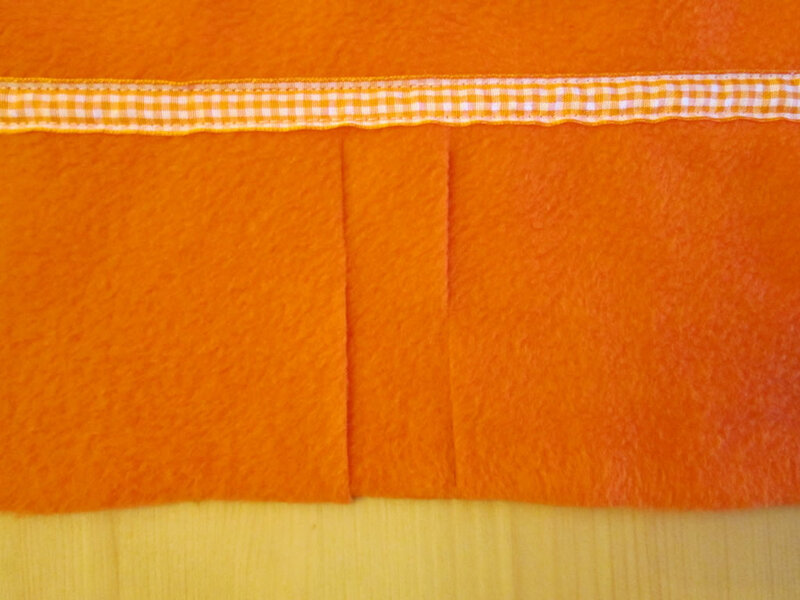 Measure 10 cm in from one of the the short edges and pin 1 piece of ribbon onto the right side of the fleece so that it is parallel with the short edge. Repeat for the other end. 2. 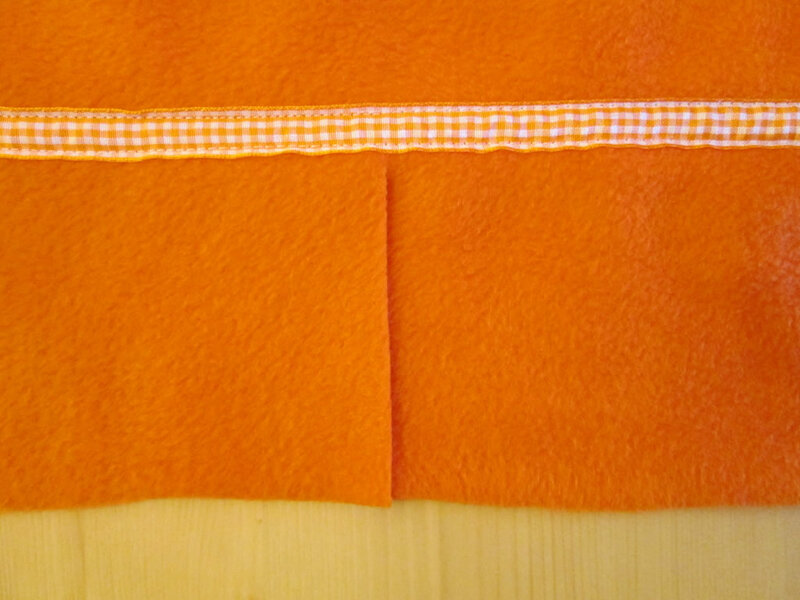 Lay the cotton fabric over the top of the fleece so that the right sides are together. Fold up shorter edges so that the folded edge is level with the ribbon. 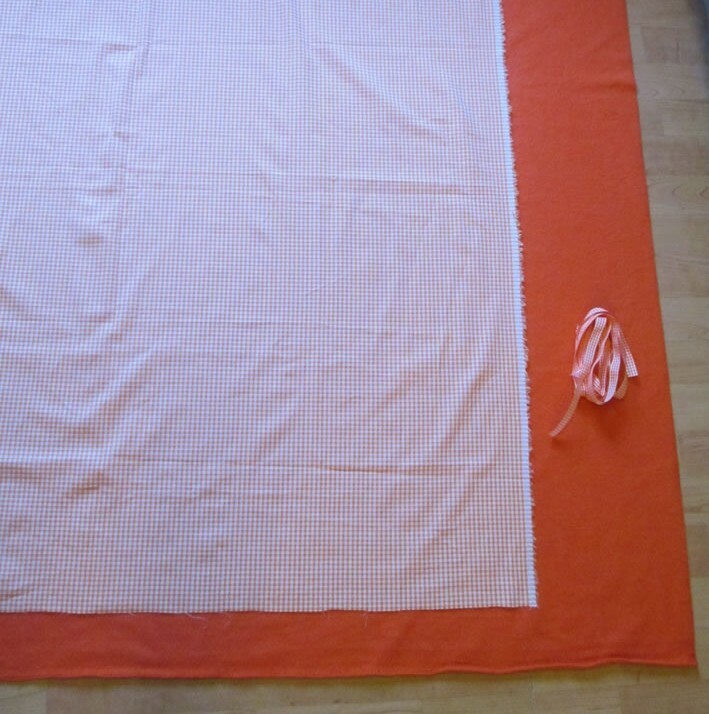 Pin the cotton fabric right round to the fleece. 3. 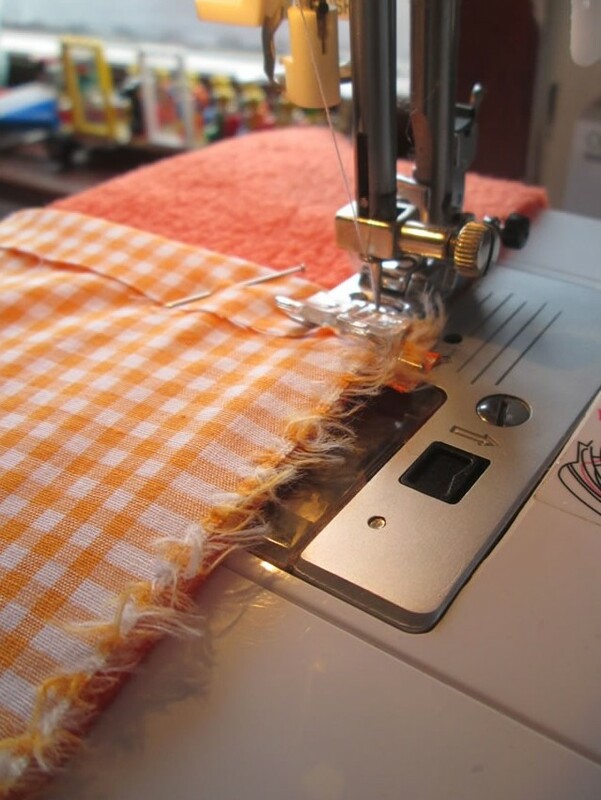 Sew along the longer edges to join the fleece and the cotton. 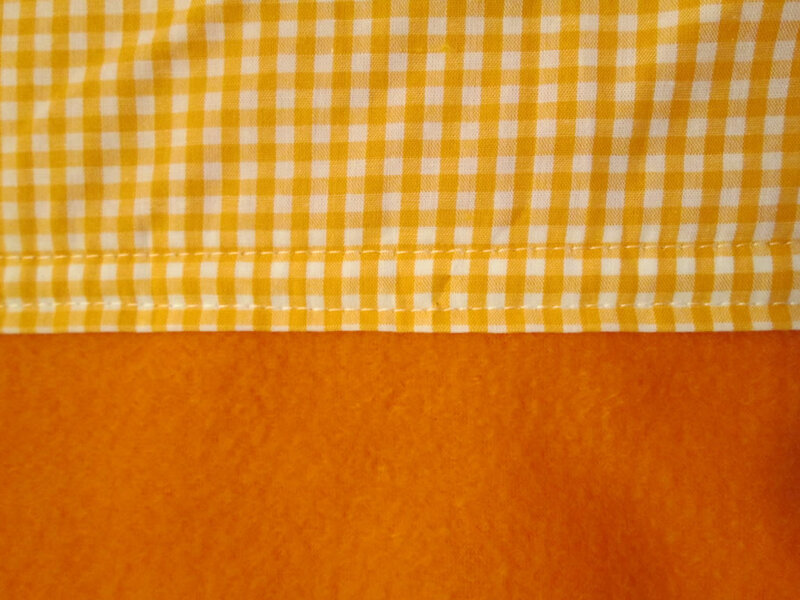 Trim seams and turn out. 4. 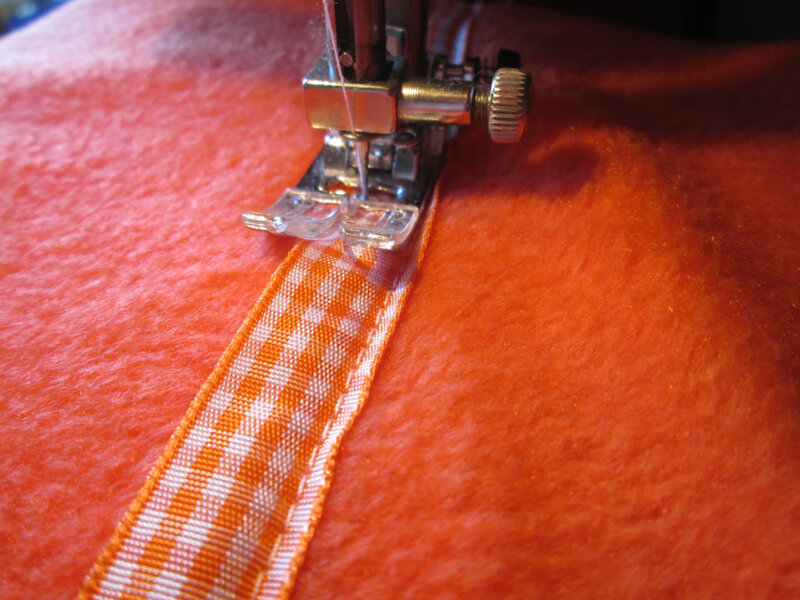 Pin the shorter deges of the cotton to the fleece, checking that the edge of the hem is level with the edge of the ribbon. If it is not, you might need to adjust the ribbon. 5. Sew along the ribbon taking care to catch the cotton fabric on the other side. 6. 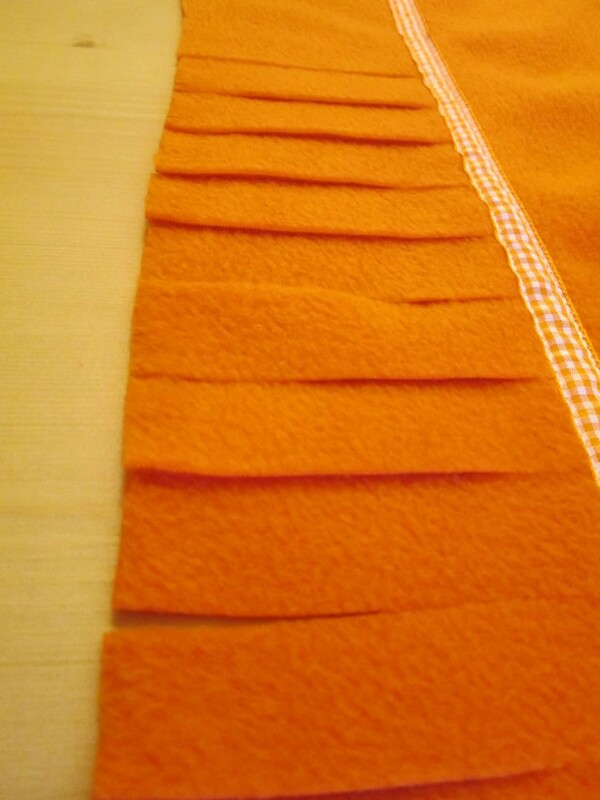 Carefully make a series of cuts 2-3 cm apart along the shorter edges to create a fringe. 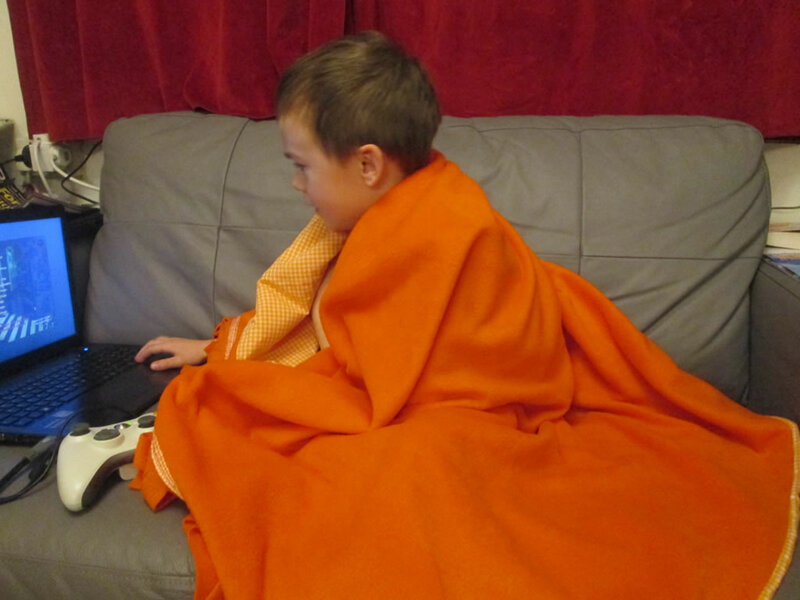 …and here is Boy 2 trying it out! I’ve added this post to the Submarine Sunday linky party at USS Crafty, Handmade Tuesdays at Ladybug Blessings and Tuesday Tutorials at Crafts On Sea! Thanks for stopping by! 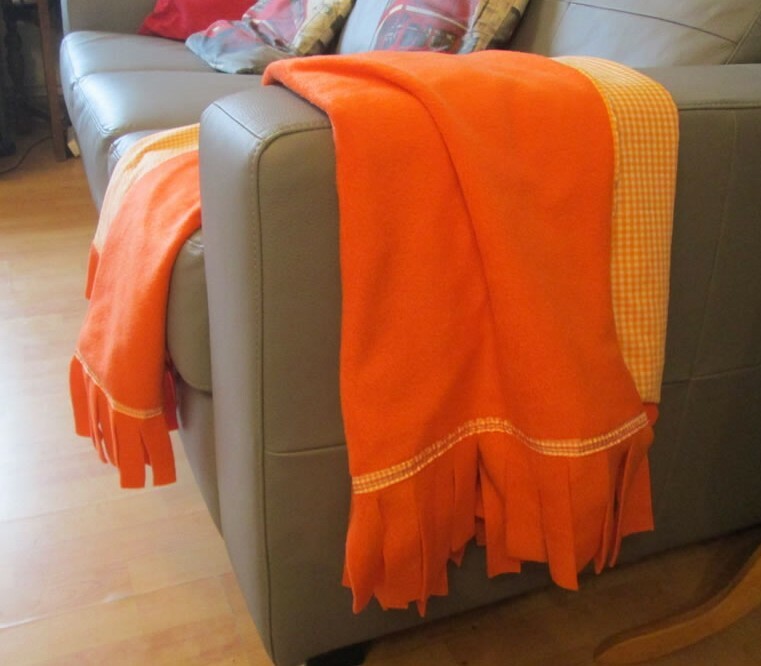 I love the fleece throw. Such a cherry color too! That does look jolly pretty and cheerful! I did laugh at the evidence of spaghetti bolognaise and toddler years mention!